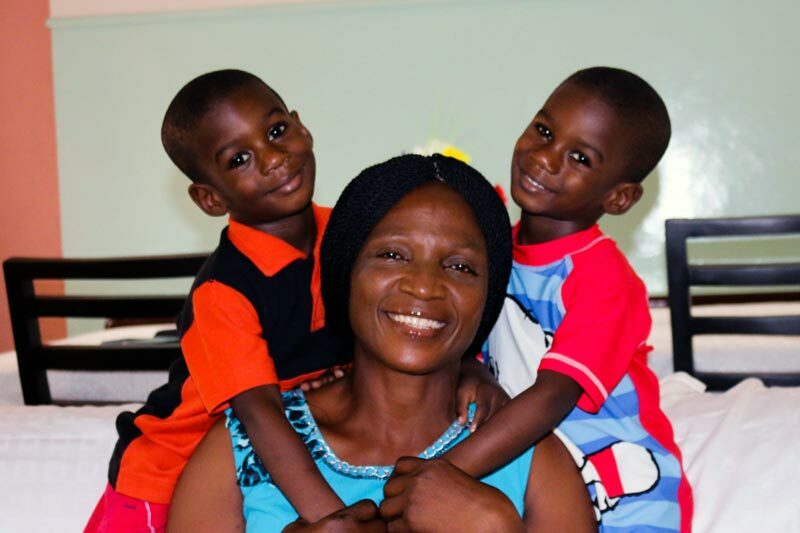 An SOS mother in Nigeria shares her favourite story and how her twin sons keep her laughing. Once upon a time, there lived a bad tempered king. He never laughed and didn’t let anyone in the kingdom laugh. One day, a little boy could not control his laughter. He laughed and laughed but later became very scared because of the punishment awaiting him in the kingdom where no one was allowed to laugh. He then devised a plan in order to escape the anger of the king. He wrote a funny story, which he disguised as a drama. He went to the palace and asked the king for permission to present the play he wrote. The king approved of this, not having the faintest idea of the boy’s real motive. The little boy staged the play and at the end he made the king laugh. Everyone present in the courtyard was amazed to see their king laugh. Ever since then, the ban on laughter was lifted and everyone lived happily in the kingdom. I love reading that story to my children. It is a pleasure to have two funny children who make me laugh, especially when their older siblings are away at school and even at times when I’m not in the mood to do so. As soon as we got home, he excitedly started telling his older siblings, “I saw a ‘tatafly’.” On hearing him and the seriousness with which he said it, we all started laughing. Taiwo also joined us in our laughter without knowing the reason why we were laughing. The following day when he got to his school, he boldly announced to his teachers: “I saw a tatafly.” The class laughed with him, as he knew this would get a happy reaction from his friends and teacher. Canadians wishing to help vulnerable children receive the love and care they deserve are encouraged to sponsor a child, sponsor a Village or make a one-time donation. Your support will help change the lives of orphaned, abandoned and other vulnerable children. Please help today.